Today’s business students need global experience to become future leaders. You can help create the opportunities that will inspire their career paths. Working in a global economy demands global experience. And that means getting out of the classroom. To become tomorrow’s leaders, today’s business students need to learn to navigate geographic, cultural and language differences. But access to affordable, hands-on learning opportunities in locations around the world can pose a challenge. When recruiters spot Germany and London on Tommy Lowden’s résumé, that’s all they want to talk about. The world is opening up to Lowden, a junior accounting major at Fisher, because he stepped out into the world. Lowden spent four weeks studying in Germany during his first year at Ohio State, and the following year he traveled to London for an internship with a private equity firm. Up next? Consulting work in South Africa. “These unique opportunities have made me a more well-rounded individual — and a more qualified candidate during interviews,” he said. And they might not have happened without donor support. The Joseph A. Alutto Global Leadership Fund helps students gain invaluable, career-advancing experiences that help shape them into tomorrow's leaders. The fund, created to honor the former interim university president’s deep commitment to advancing international educational opportunities, allows Fisher students to engage in innovative global learning experiences through programs, partnerships and action-based projects around the world. So far, 24 students have been awarded scholarships, allowing them to explore and learn in countries including Brazil, Tanzania and South Africa. You can help shape tomorrow’s business leaders by connecting them with the global experiences they need to thrive. 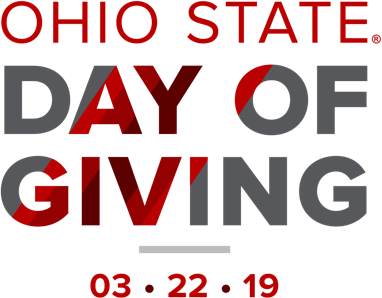 Give today and your gift can have twice the impact: Ohio State will match, dollar for dollar, every gift (subject to available match funds) made to the Joseph A. Alutto Global Leadership Fund. Whether we’re building a new residence hall, introducing an industry-leading program, hiring faculty or funding research, everything we do at Ohio State is about the students. Through your gift, we can help promising students afford tuition and access life-changing opportunities. With your help, we’ll continue to provide the kind of journey that results in extraordinary outcomes. Supports funds distributed at the discretion of the Director of the Office of Military and Veterans Services. Provides enriched and enhanced programming for first-year students and finance scholarships for programs with participation fees.